After all, while the cost of living may be on the rise, most people still want a weekend getaway to look forward to every couple of months, and Gozo provides the ideal destination – a home away from home with just the right balance of culture, relaxation and fantastic food. One of the suites has a jacuzzi with views of the parish church. Of course, this is hardly a new phenomenon. The Maltese have been making the trek over to Gozo for weekend breaks for decades, and they have always loved it. The difference is that now, more than ever, foreigners are following suit, and that the options for accommodation are also blossoming. 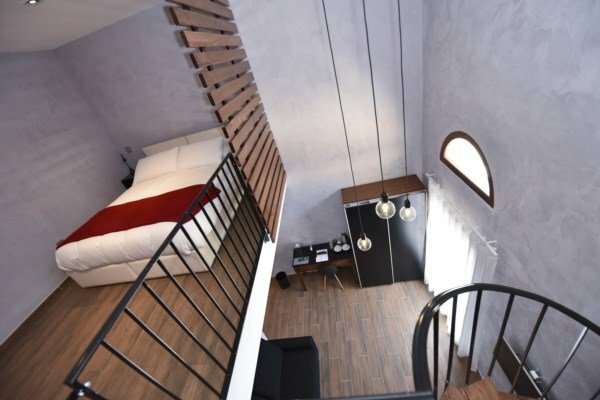 One example is the newly-launched Quaint boutique hotel in Nadur, which opened its doors for the first time a few weeks ago. With a clear remit, Quaint is already attracting a mix of Maltese and international visitors, who are eager to sample the pleasant mix of Gozitan traditions and alluring hotel luxury. “A boutique hotel doesn’t actually have a specific definition, but it boils down to its style and size,” says Jankarl Farrugia, who co-owns Hotelogique, the operating company for Quaint Boutique Hotels. Quaint have created a new brand of hotels that will offer no more than 15 rooms in any one place, and which will present unique, hip and modern accommodation in individually-designed suites. “We believe Gozo offers the perfect setting for such a hotel style – it blends well-loved island charm with a more contemporary and luxurious accommodation choice,” continues Farrugia. And the hotel really reflects that. Its design has been very respectful of the surroundings yet luxury abounds, and the 24-hour concierge service ensures their guests have everything they need at all times. The rooms themselves are all unique. Depending on your budget you could pick a comfort room, with street views and colourful touches, or the deluxe duplex suites, which have special features such as a private staircase and distinct artwork. There’s also the gorgeous deluxe suites, one of which has a fabulous standalone bathtub in the bedroom itself, as well as the superior penthouse with its large terrace and – my favourite feature of all – a Jacuzzi bath with views of the parish church. 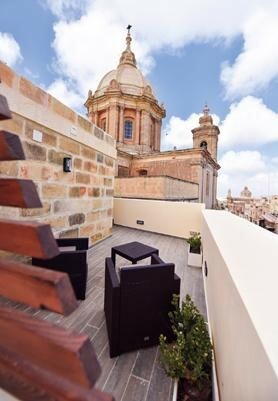 The Nadur property is actually the first Quaint hotel to open on Gozo but there are already more in the pipeline. In fact, works are already underway on buildings in Xewkija, Sannat and Għajnsielem, and there are talks on-going about other properties in Gozo, as well as in Malta and, possibly, overseas. “The most important factor for us to consider is that the property matches the philosophy of the brand, as we take that very seriously,” continues Farrugia, who, along with his partner Frankie Spiteri, developed Quaint from scratch. Aside from accommodation, the hotels also offers breakfast, as well as an option for dinner. This complements the developing trend of travelling to Gozo for a ‘foodie’ break, as many of the Maltese Islands’ best-regarded restaurants are now located here. “Moving forward, we’re looking at Quaint as a way of life, just like Gozo itself is a way of life,” says Farrugia.